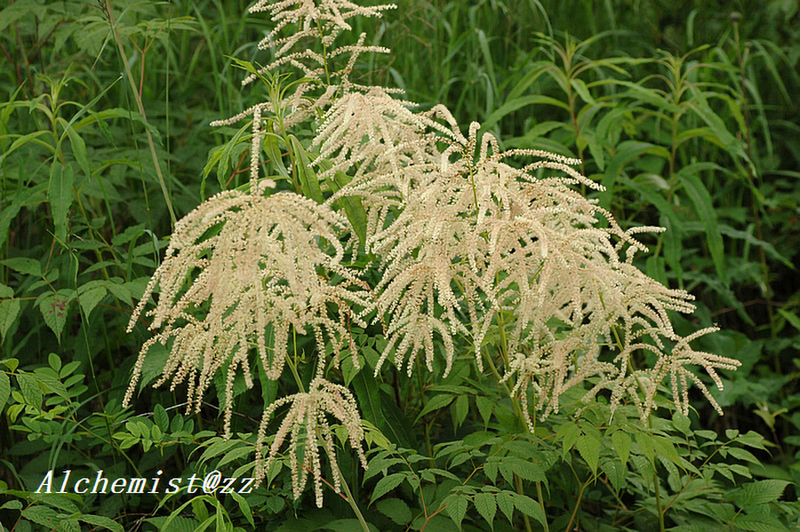 Scientific Name: Aruncus sylvester Kostel. ex Maxim. Distribution: Mixed forests on montane slopes, valleys; 1800–3500 m. Anhui, Gansu, Guangxi, Heilongjiang, Henan, Hunan, Jiangxi, Jilin, Liaoning, Shaanxi, Sichuan, Xizang, Yunnan [Bhutan, NW India (Himachal Pradesh), Japan, Korea, Mongolia, Nepal, Russia, Sikkim; SW Asia, Europe, ?NW North America (Alaska)].